Pros: Bought nice bundle with CPU from Newegg. Cons: Worst support I've ever seen! They don't reply at all absolutely ignoring your e-mails. Then they send sudden e-mail (dated 2 months earlier!) and threatening this is the "final notice". I'm not even sure they understand what I was talking about in my inquiries. 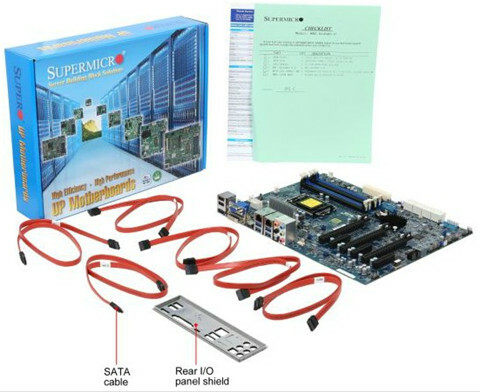 BTW, have you ever read Supermicro manuals? Specs are not in comply offten, they use older models manuals for new products, then trying to adjust it "on the fly". Shortly, chinese product and chinese quality support. Cons: Mine was dead. Seems poor quality of assembly or parts. Other Thoughts: I like the board. I am using it as a home workstation and gaming system running it with Plextor M6e boot drive, two Samsung EVOs, Intel 4790k, AMD 290x, and Ripjaw ram. No compatibility issues, all plug and play. The only thing I can really say that is not positive is that it can’t overclock. Clearly that is not what this board is meant for, but man that would be pretty great. I appreciate stability and stableness of the board. Cons: Almost got ripped off and purchased this board. giving the impression of the board having 10 SATA 3 ports. Other Thoughts: The Supermicro web site is terrible and is very difficult to locate information. A search on MBD-X10SAT-O comes up "NOT FOUND". The manual is for the X10SAT. 8 out of 17 people found this review helpful. Did you? Your comments are very important to us. 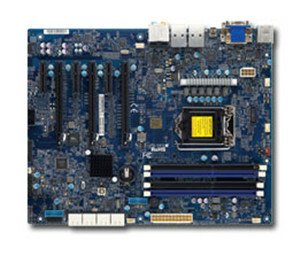 The X10SAT motherboard does support ECC memory modules. As far as the manual, I have taken note of your feedback and will bring this matter to the proper people. If or when this information is internally verified, action will be taken and we will correct any issue or discrepancy in the manual . Thank you. 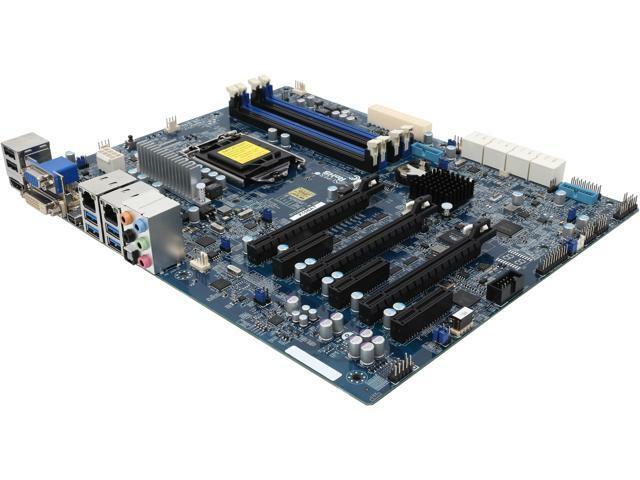 Pros: Seems like a very solid Mobo. Has a head for just about everything you could need. 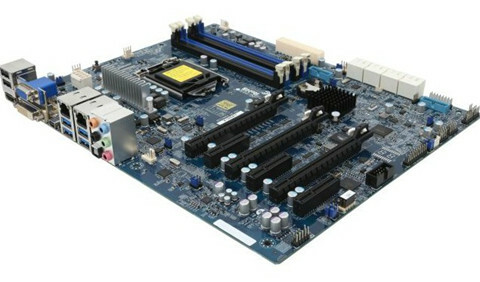 LGA 1150 socket is nice for cheaper Xeons / Core i series processors. Cons: Newegg isn't specific about what kind of RAM you need to buy for it; only says ECC, doesn't say it needs to be unbuffered (UDIMM) memory. I knocked an egg for the lack of info, and the delay it has now caused in my DIY SAN project because I need to return the old RAM and get refunded so I can repurchase correct memory. Other Thoughts: Will come back and add any other information I get once the board becomes a bootable server. Pros: Up to date features and plug and play ease. Other Thoughts: My first sever build updating a 9 year old server with new board, cpu, ram and windows server 2008r2. Took me a day and a half to get my office (10 workstations running Windows 7) up and running. I am very pleased! Pros: Nice board. Thunderbolt port. 4 USB 3.0 ports. Cons: Was not able to get Linux installed on it. Other Thoughts: Linux wasn't a deal breaker as I did have a Windows 7 Pro key. I think if I would have dug deeper I could have found my issue and had Linux working fine, but didn't have the time to get it working.